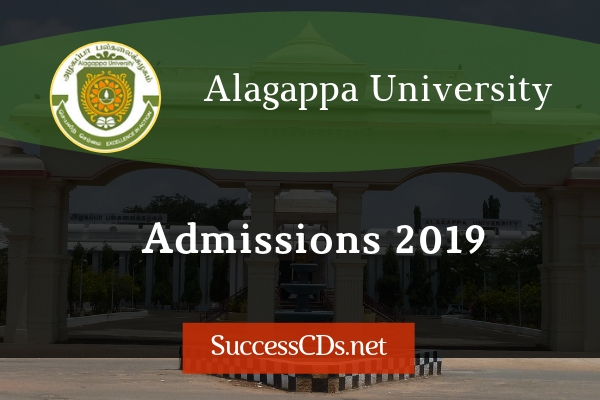 Alagappa University PhD Admission 2019 - Alagappa University, Karaikudi invites the applications for Pre-Registration Qualifying Entrance Examination for PhD Program for commencing in year 2019. Applicant must have 50% of marks for SC/ST/OBC/ Person with Disability. Applicant must have 55% of marks for all Other Candidates.